Questions? Suggestions? Please feel free to reach out! 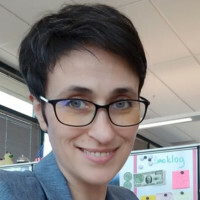 My name is Katia Dickenson, I live in Seattle, WA and work as a UI/UX Designer at F5 Networks. The purpose of this blog is to share my knowledge, ideas, and thoughts about all things UX. Examples of Bad UX: Volume 2. Poorly designed UX could affect security of your application. International UX: empathy, ethics, and respect needed. Piloting the first project with the UX process.